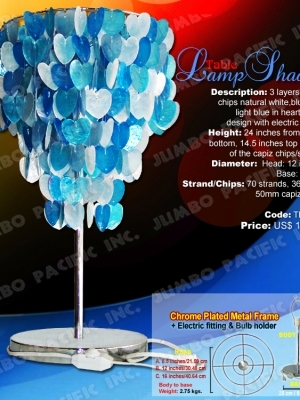 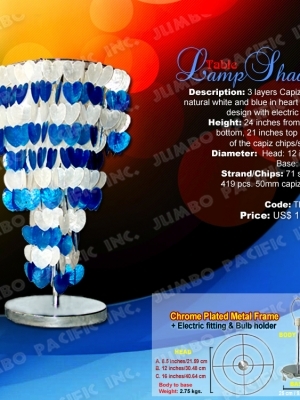 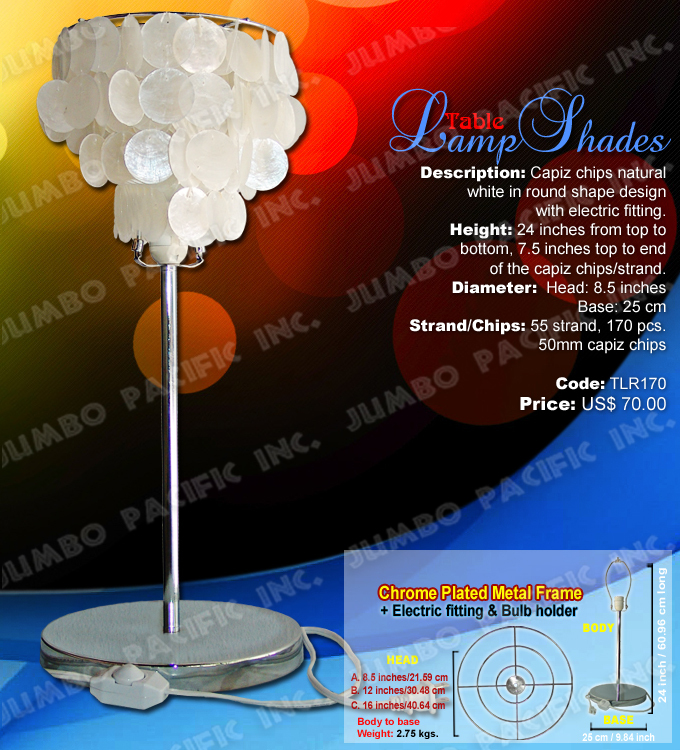 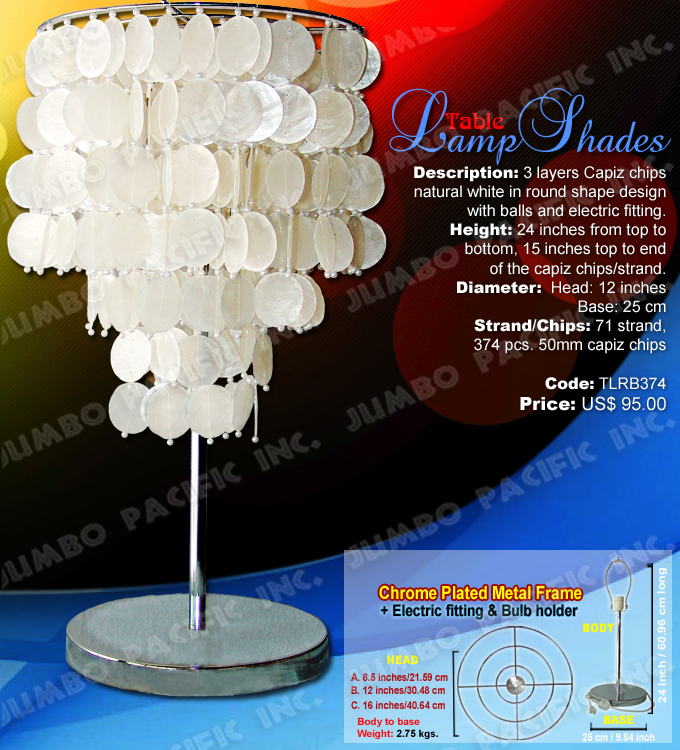 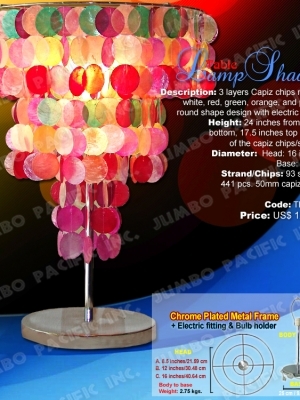 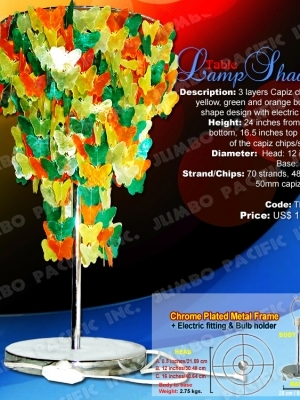 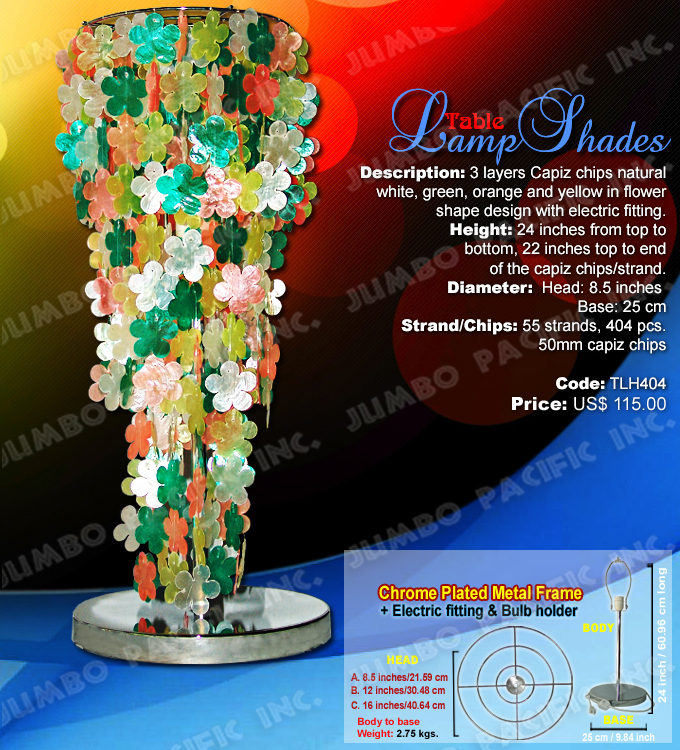 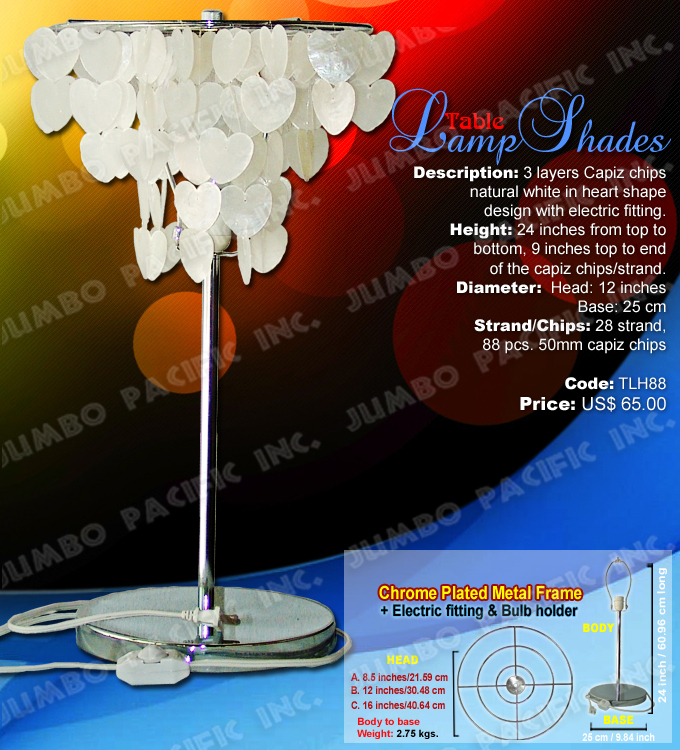 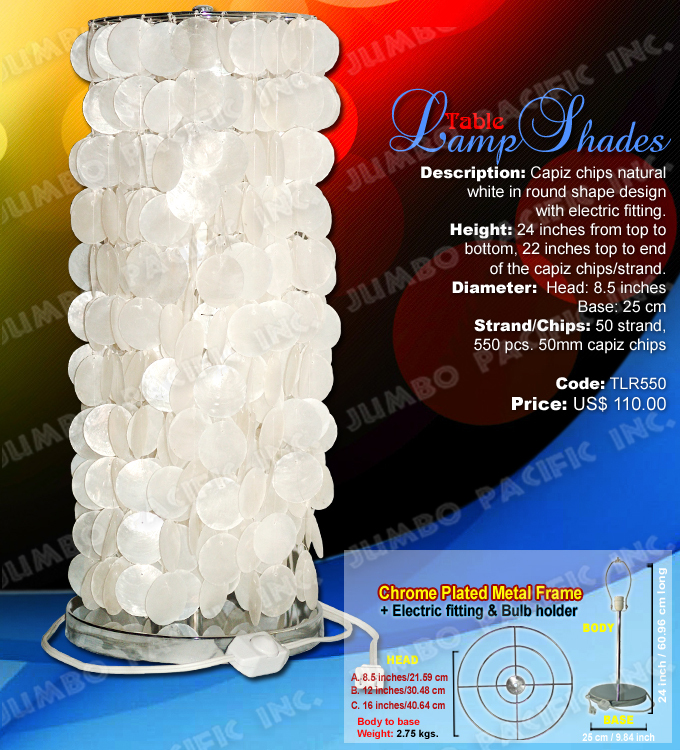 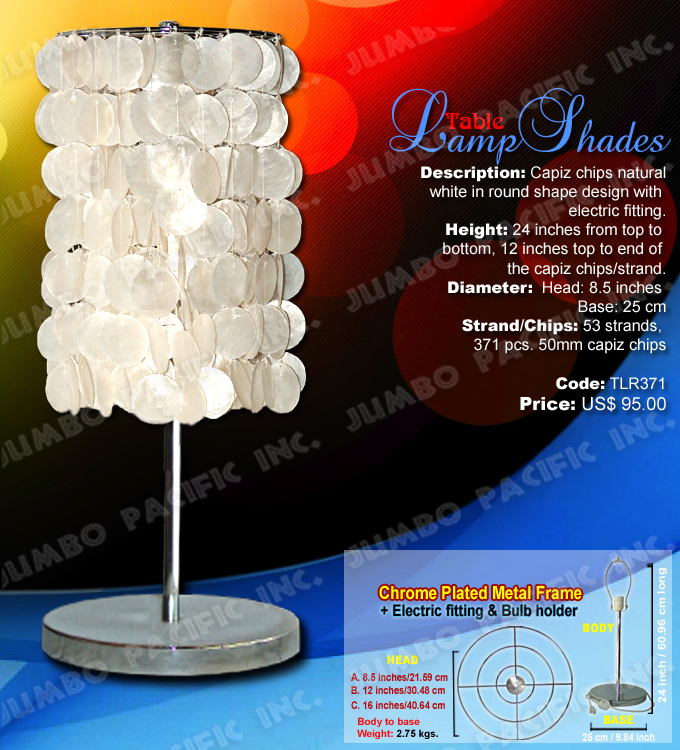 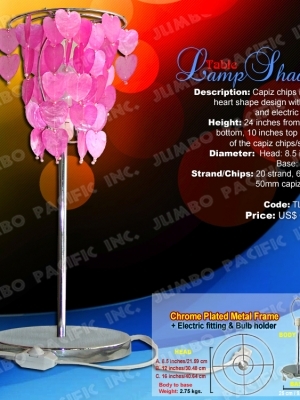 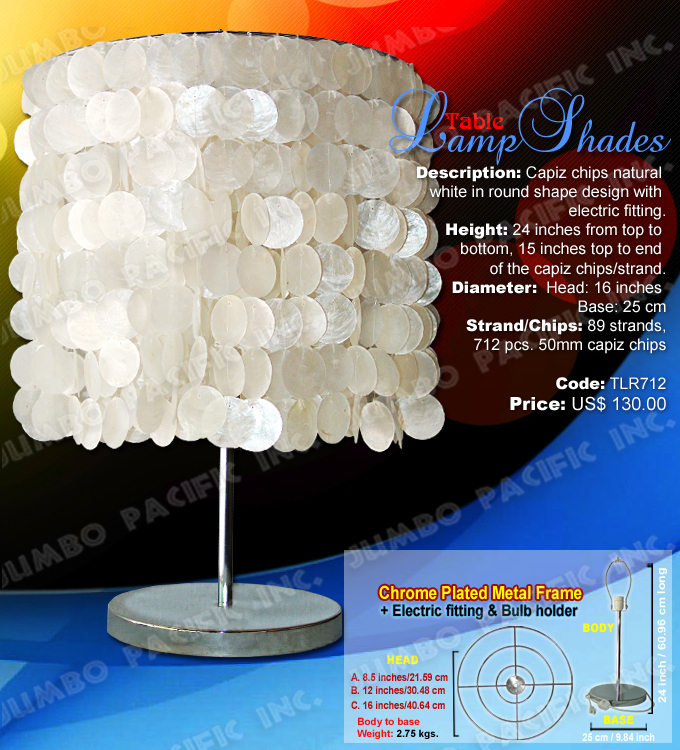 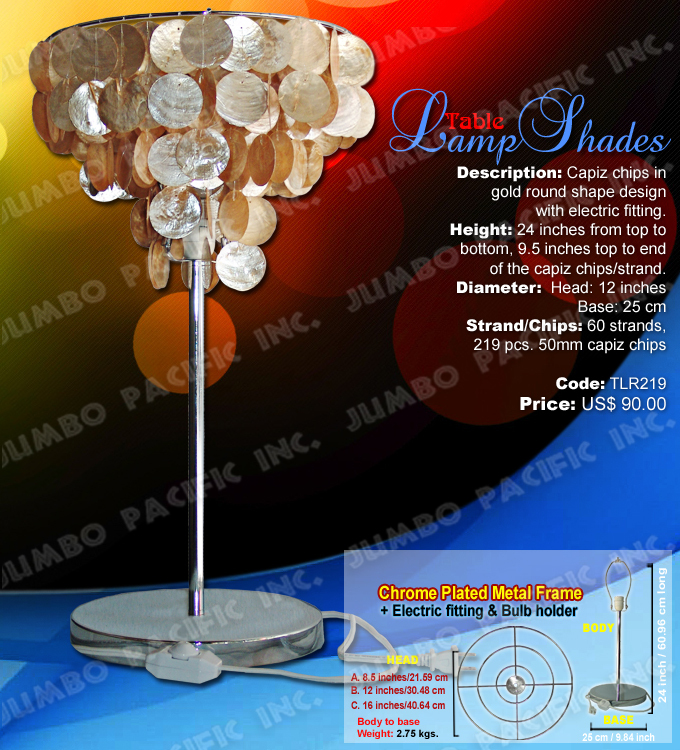 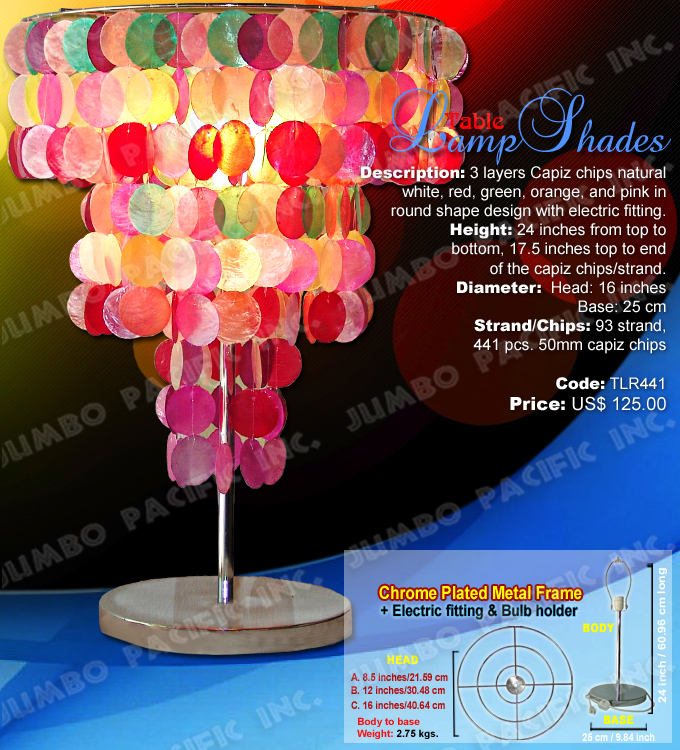 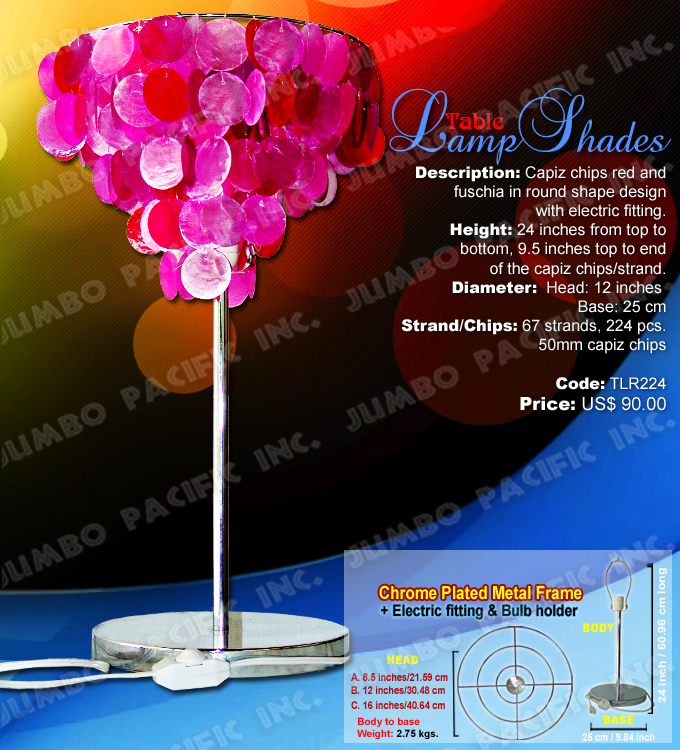 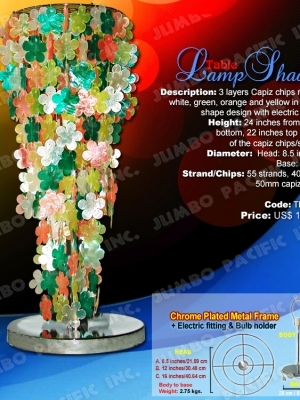 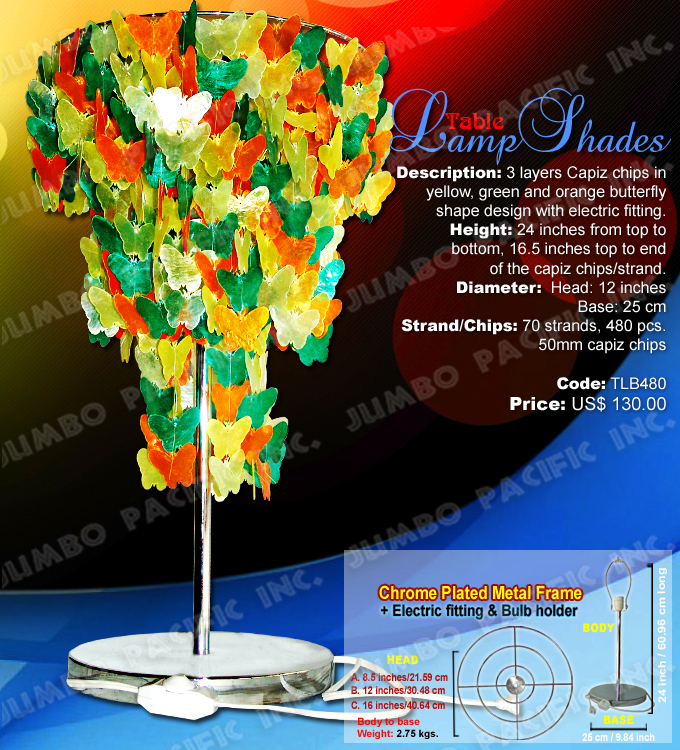 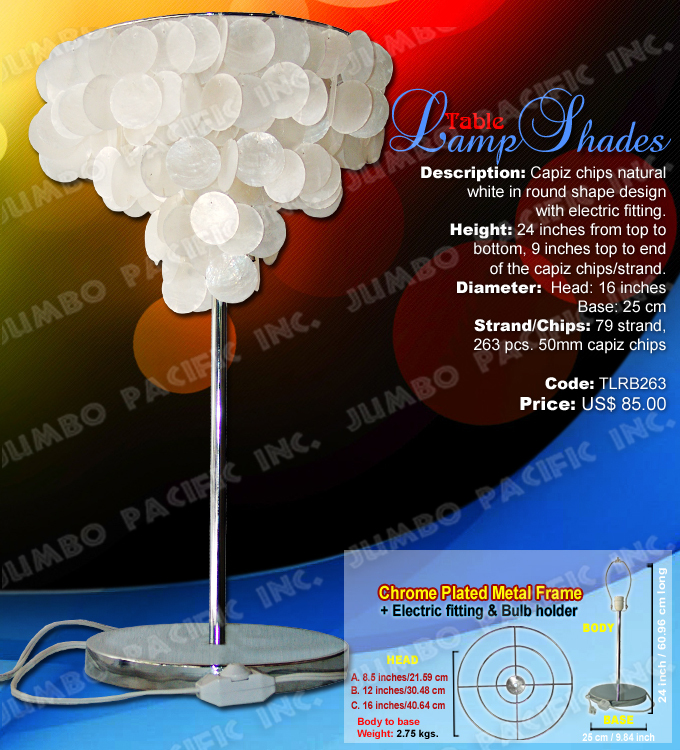 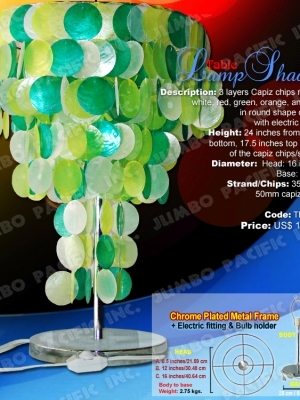 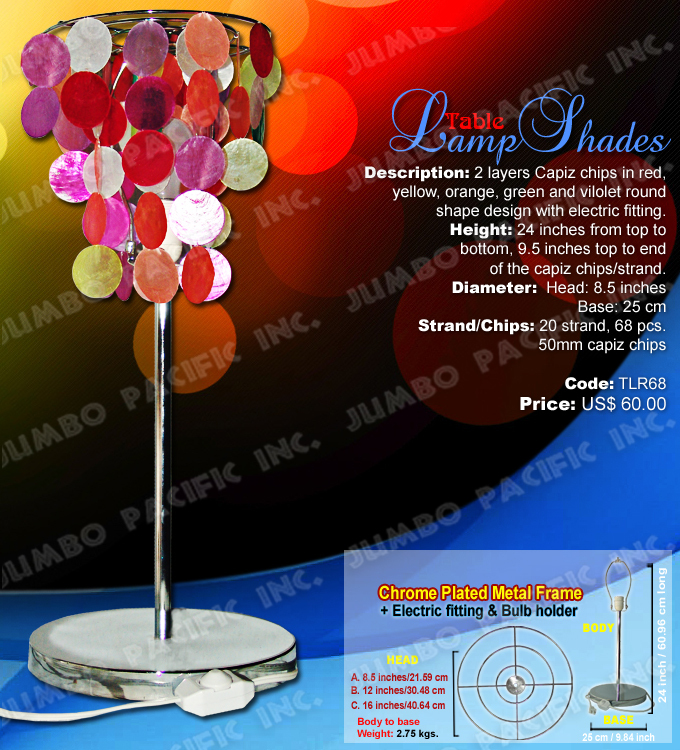 Capiz Table Lamps are made of capiz shell chips, it is perfect for your bedside table or your living room’s side table. 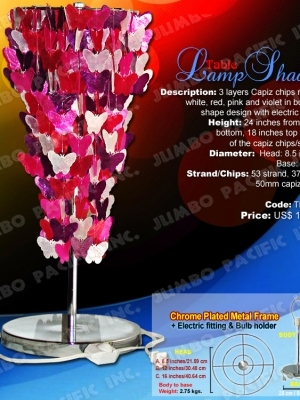 It has a lot of design, colors and lovely shapes like flowers, hearts, butterfly, stars and a lot more. 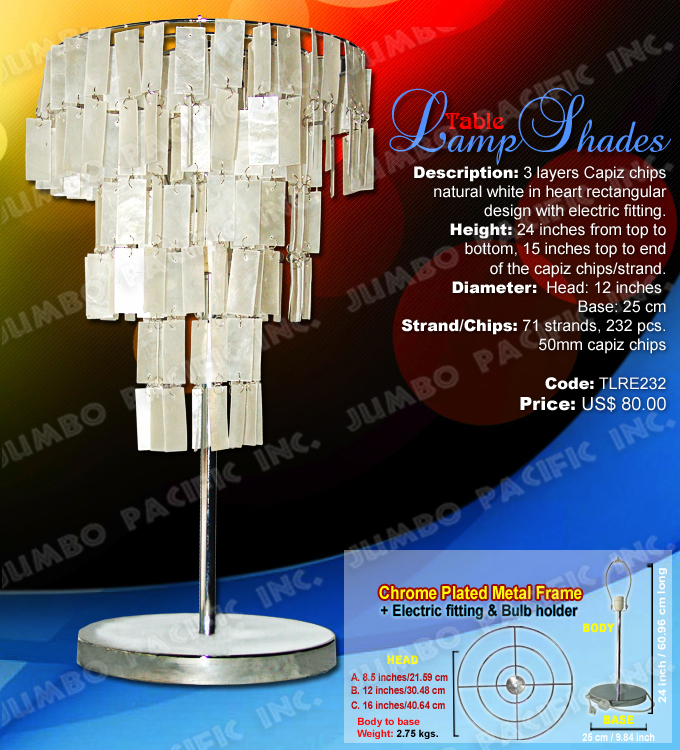 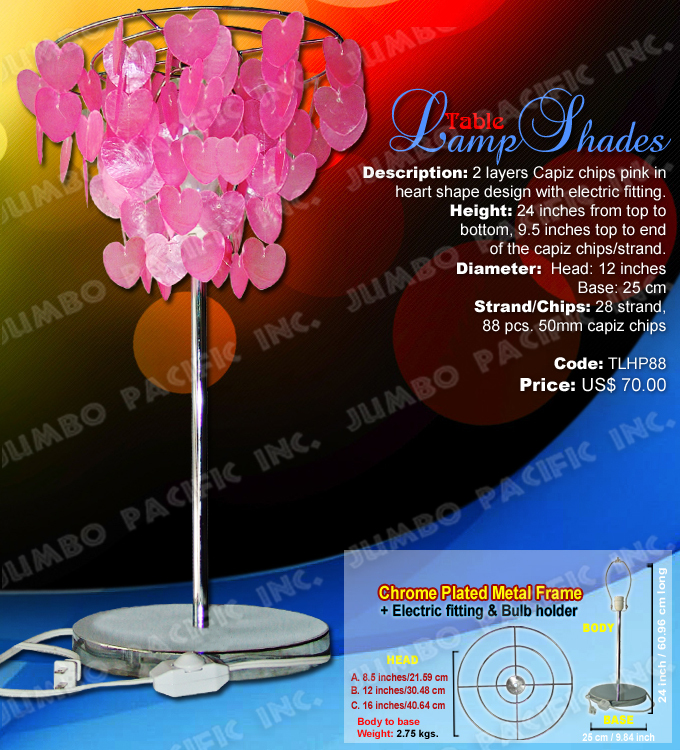 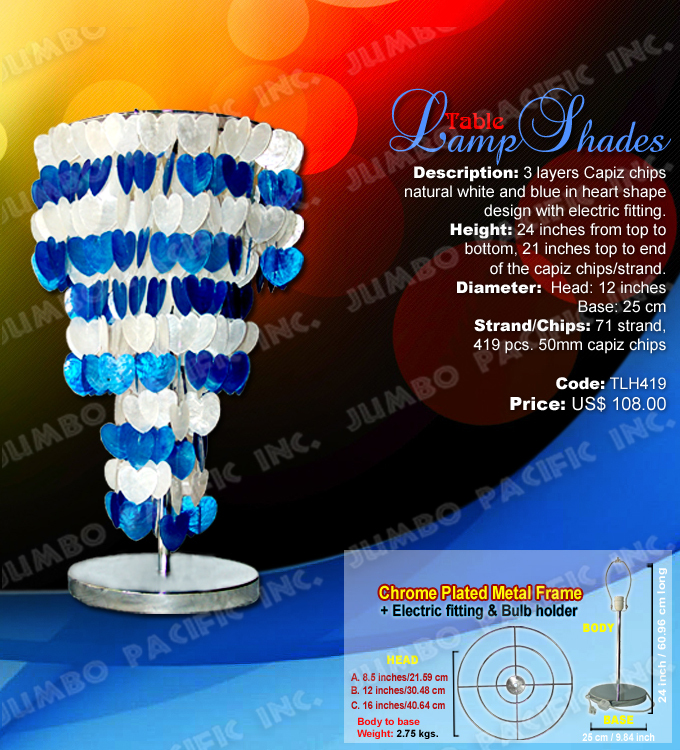 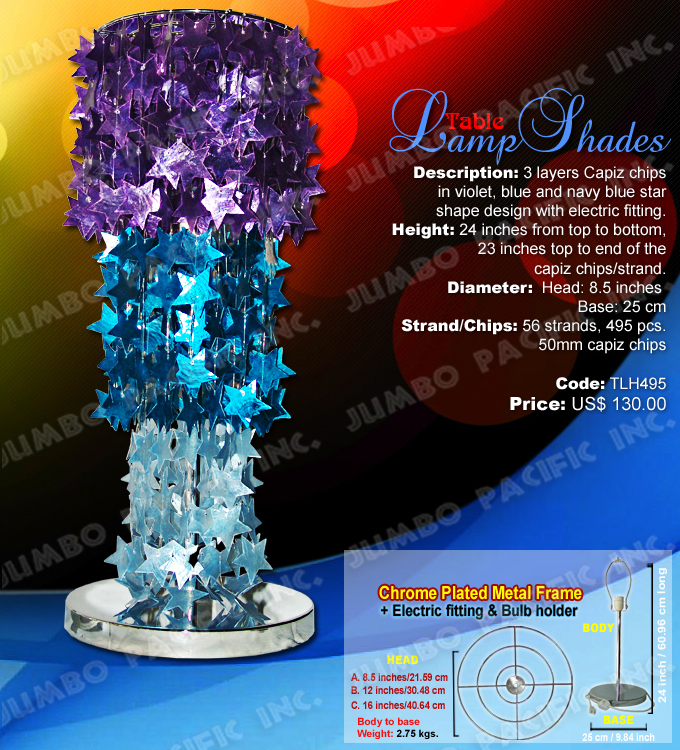 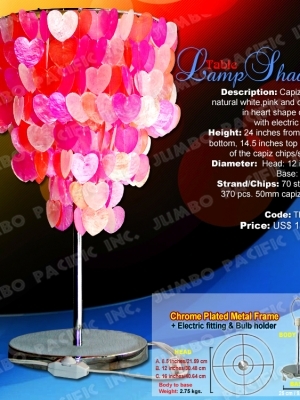 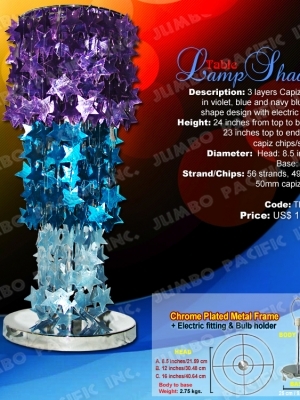 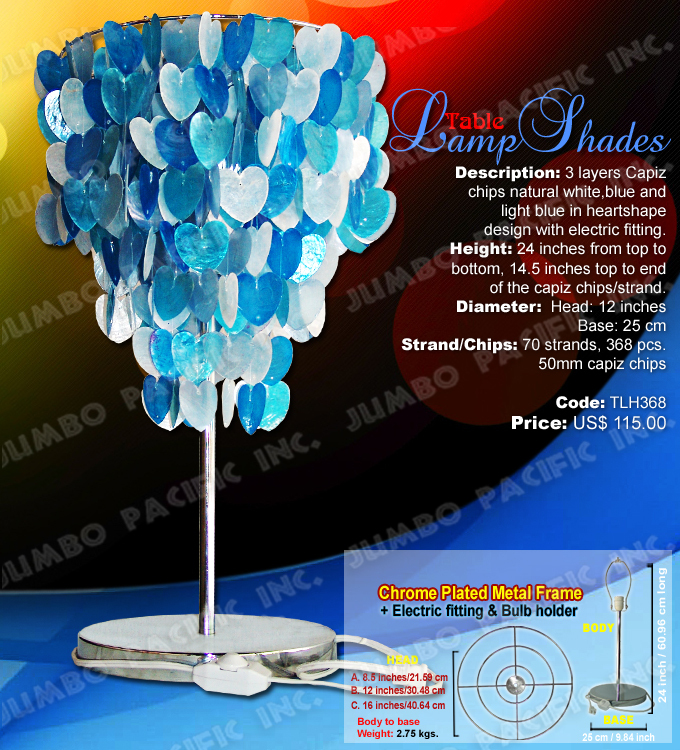 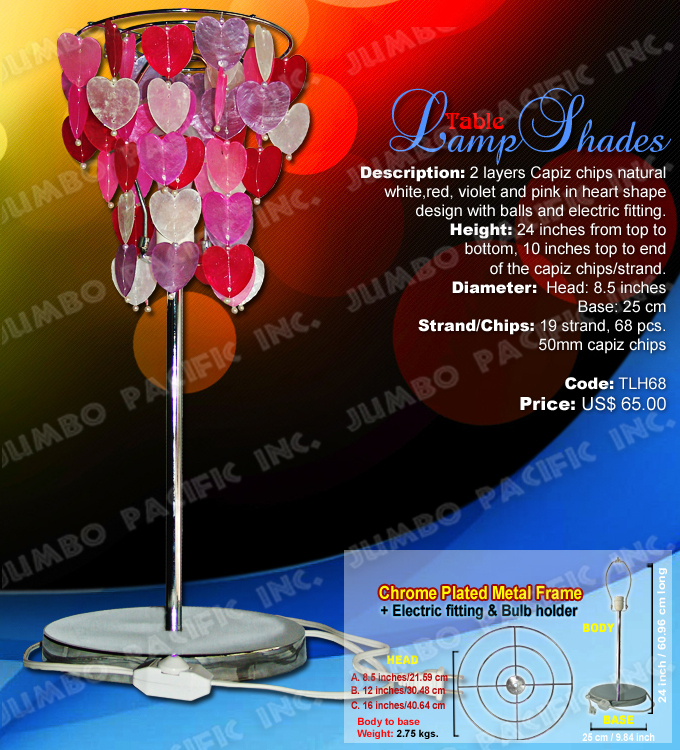 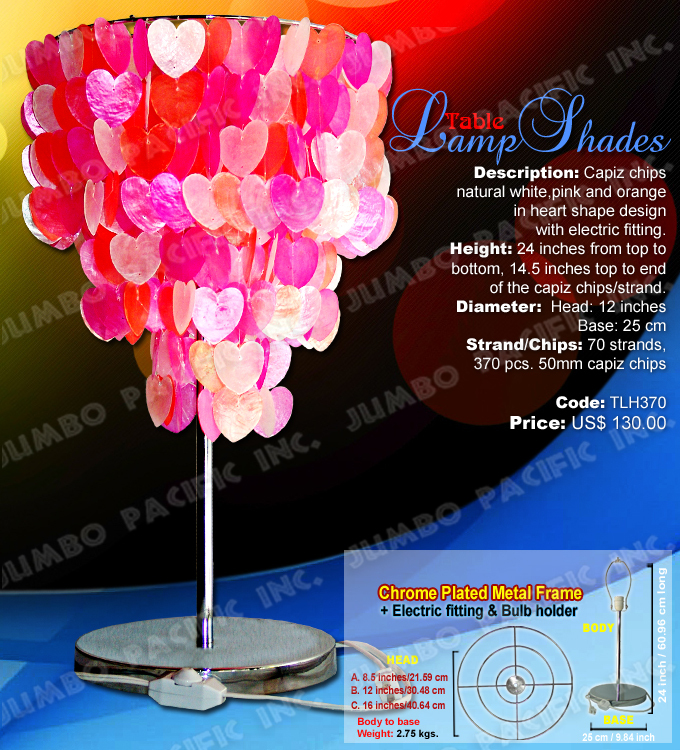 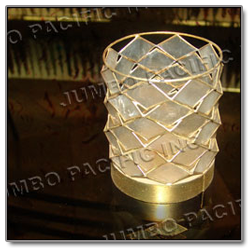 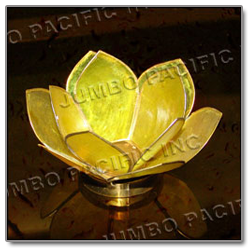 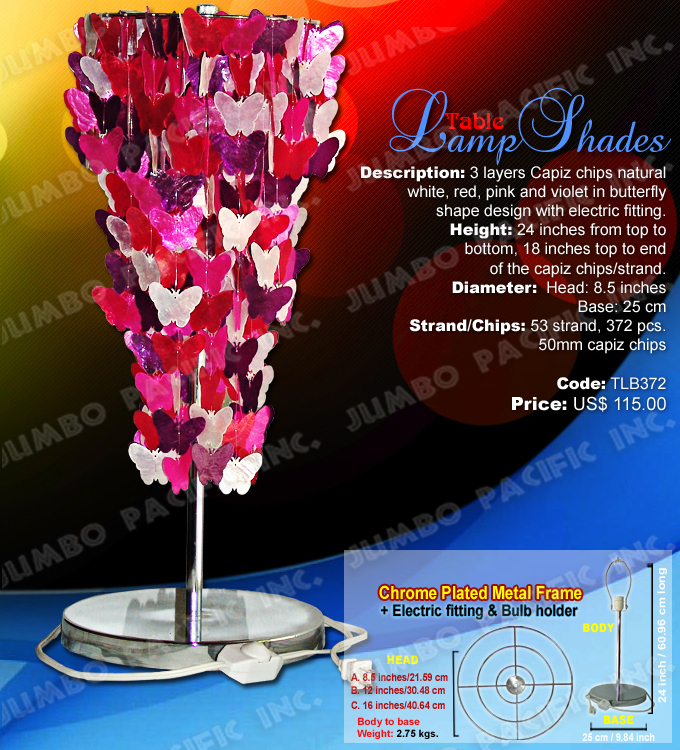 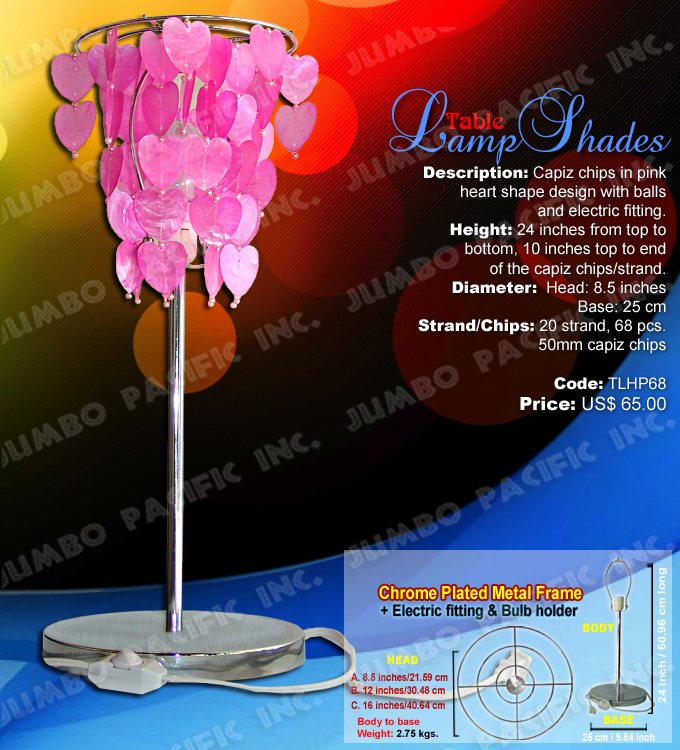 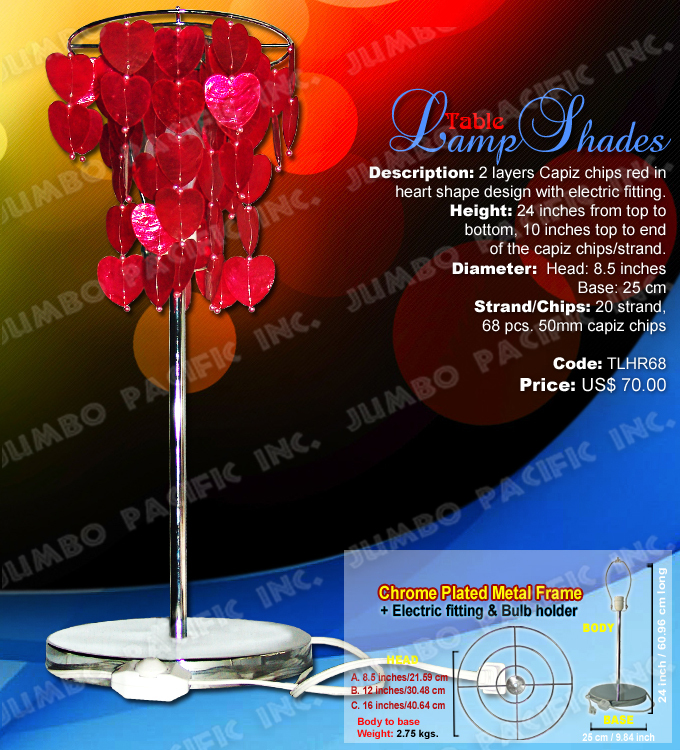 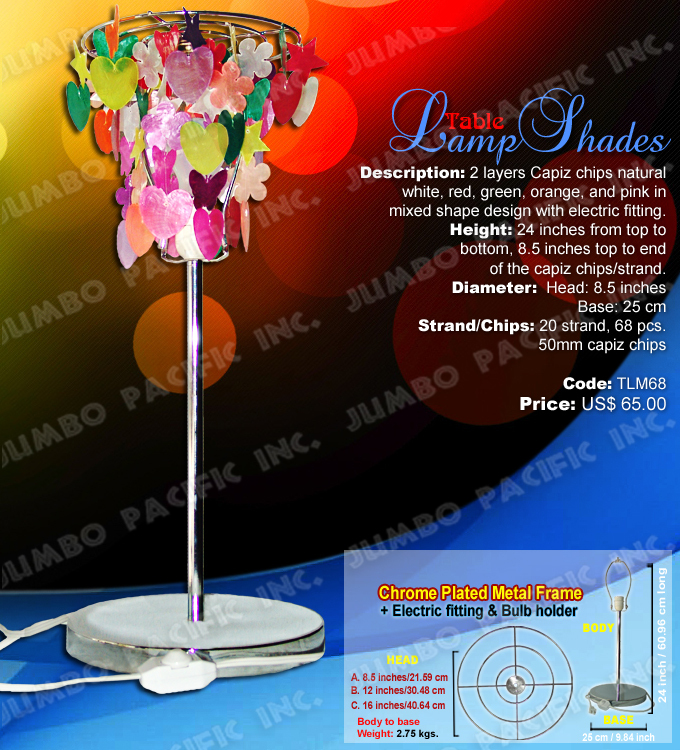 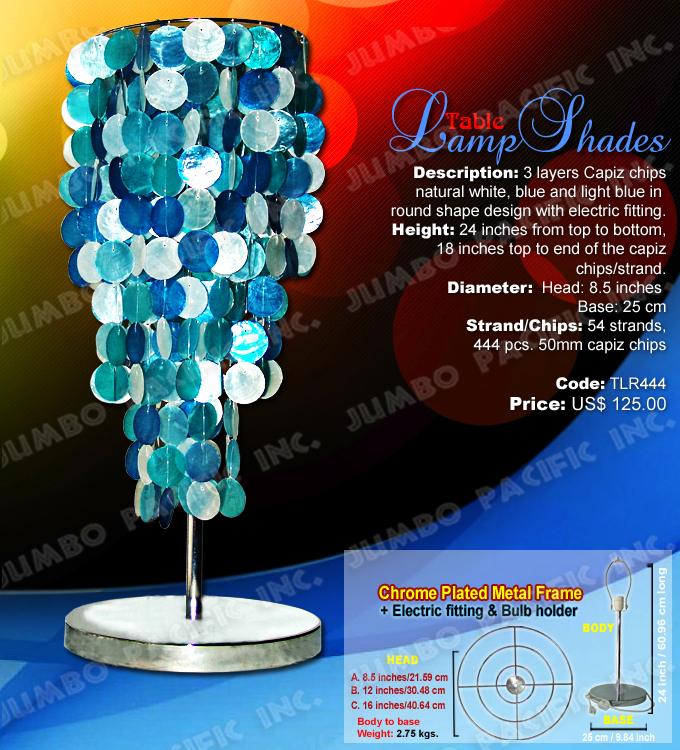 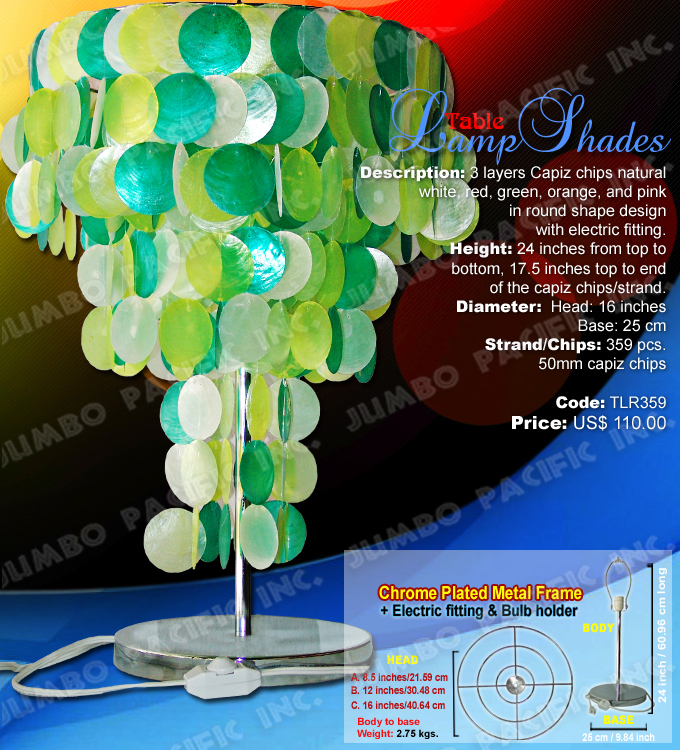 It is designed not only to give light but also to beautify your room. 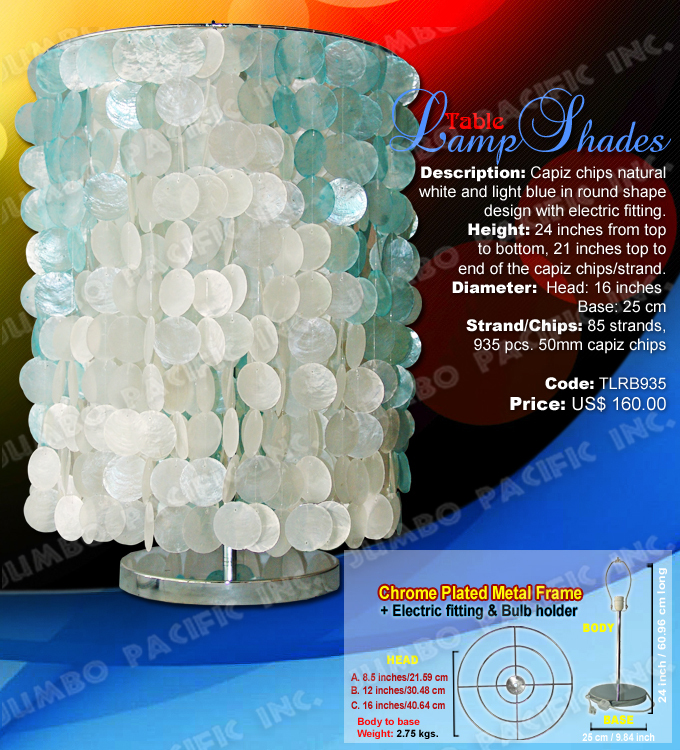 This gives a medium light that would be perfect for your bedroom if you’re not into bright light. 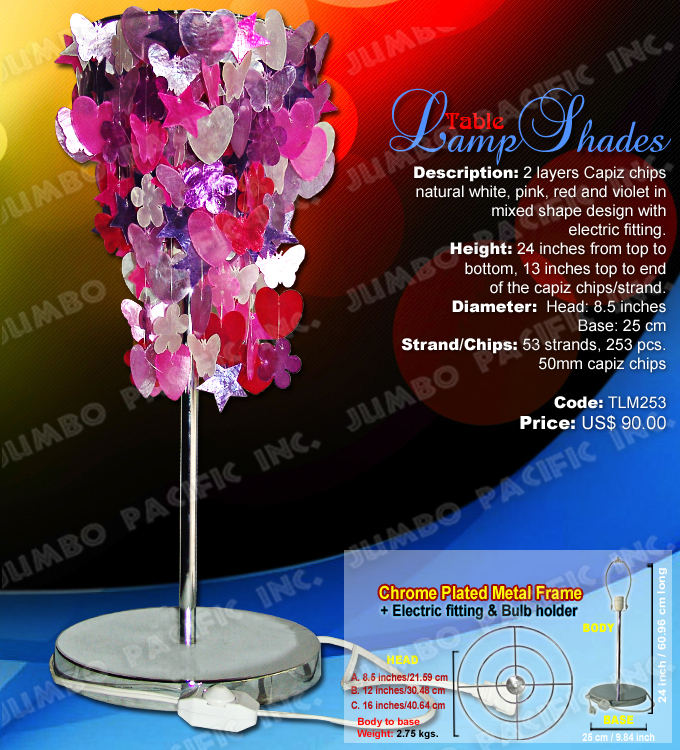 It goes with an electric fitting and bulb holder.